Last week Richard III was reinterred into Leicester Cathedral with all the pomp and circumstance one would expect for our own Queen. Whatever your view, it’s a fascinating example of the political power of the poison pen. By God, Shakespeare did a number on Richard and people are desperate to rectify it. Shakespeare’s vilification of Richard has permeated into our national consciousness. Why else would so many people be so anxious to reclaim the good opinion of this long dead king that they would raise substantial funds (over £1 million, apparently) to rebury him? 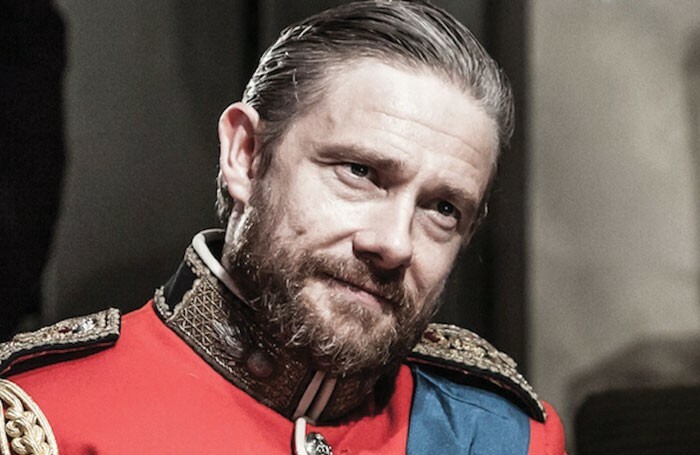 We no longer have writers in the thrall of Tudor patrons but a recent Telegraph article from journalist and playwright Jonathan Maitland accuses contemporary theatre makers of propaganda too. The industry stands charged with demonising another elitist firm: not the monarchy, but the right wing establishment. How do we plead? Personally? Guilty as charged. As a full-blown leftie I want to see work that questions the status quo and if, in order to be heard, we have to attack the establishment with as much force as Shakespeare did Dickie’s character then so be it. Deep down, I’m also aware this isn’t how it works anymore. No theatrical characterisation is ever going to have the same power as Shakespeare’s did. There are too many other art forms carrying differing stories to come up with a ‘definitive’ version. Political mustering of that sort isn’t possible in a postmodern world. And I agree with Maitland from the dock – we need to have a more balanced cultural landscape: more right-wing plays within the subsidised sector that give us credible voices to debate with. This is the way to change hearts and minds now, not through the power of bias but through strong and reasoned argument. Perhaps Maitland’s play Dead Sheep – celebrating Margaret Thatcher’s legacy – will start us on that path. Either way, it will be interesting to see what’s coming in the plethora of political theatre happening in advance of the general election in May how many hold a centre-right view and just how much sway they will hold over the hearts and minds of a public who queued for hours to reclaim the memory of a much-maligned royal relic. I’ve been really lucky over the last few weeks to see and talk to some incredibly exciting artists working with a focus on BAME theatre. Juma Sharkah, who made an incredible debut with her stunning portrayal of a child soldier in Liberian Girl earlier this year, was an inspirational marvel. Incoming Artistic Director of Tamasha Theatre Company Fin Kennedy is setting up some extraordinarily exciting projects that are looking to bring in diverse role models as artistic mentors in schools. 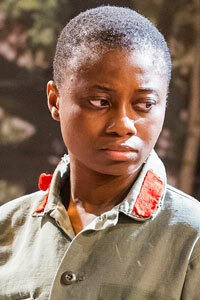 And Tara Arts’ wonderfully vibrant Macbeth, currently touring, breathes new infusions into Shakespeare’s bloody classic. I realise we’ve got a long way to go in terms of diversity on British stages, but we should also remember to shout from the rooftops about the amazing work companies and artists are doing already. Forest Fringe co-producer and performance artist Ira Brand is doing a work in progress – Break Yourself – next week at Ovalhouse exploring ideas of identity and what it means not to be you. The world of contemporary performance is often one that begins with examining yourself and much of the work is semi-autobiographical. The world of drama schools is often typified as ‘breaking yourself down’ to begin again, enabling yourself to be neutral to take on a role. In this way Break Yourself is a really interesting chance to see more traditional performance techniques in an experimental context. It could be a really lovely and fruitful place for ‘traditional actors’ and ‘contemporary performance makers’ to meet. Getinthebackofthevan is one of the country’s most exciting experimental companies. Its work marries cabaret, live art, stand-up, good old fashion theatre and occasionally, excrement. A must-see one-off. This colourful, musical and physically exhilarating version of Macbeth lacks substance, but makes up for it with bloodthirsty enthusiasm and style. Told in six rounds and set in a boxing ring, The Royale is inspired by the story of boxing legend Jack Johnson and has been garnering knockout reviews across the board. A searing and heartfelt 21st century urban love story that aims to examine cultural and class prejudices through the prism of young love. Theatre Bench uses live music and a lot of glitz and glamour to tell the story of a mother searching for her daughter during Argentina’s Dirty War. This is political theatre set in a Buenos Aires cabaret club: politics and pom poms – come on in.